Ede, The Netherlands, 20 December 2017 – Protecting an area for wildlife can work – but it works better in countries with robust political governance. That’s the conclusion from twenty-three years of research by conservationists coordinated by Wetlands International and published in the journal Nature. This unique analysis was carried out by a team including Wetlands International staff and colleagues at Cambridge, Bath, Debrecen and Santa Clara universities, and the National Audubon Society in the USA. They have combined global bird surveys with diverse factors which may impact on the richness of nature, including socio-political stability, and whether or not an area is formally protected. While GDP, agricultural expansion, climate change, and human population growth all affect conservation, none will align with changes in bird populations as well as a measure of governance will. The measure of governance in this study was the World Bank’s Worldwide Governance Indicators, which ranks countries by a mean of voice and accountability, political stability and absence of violence, government effectiveness, regulatory quality, rule of law, and control of corruption. The finding is one outcome from thousands of hours of work, not just data-processing but also in the field. 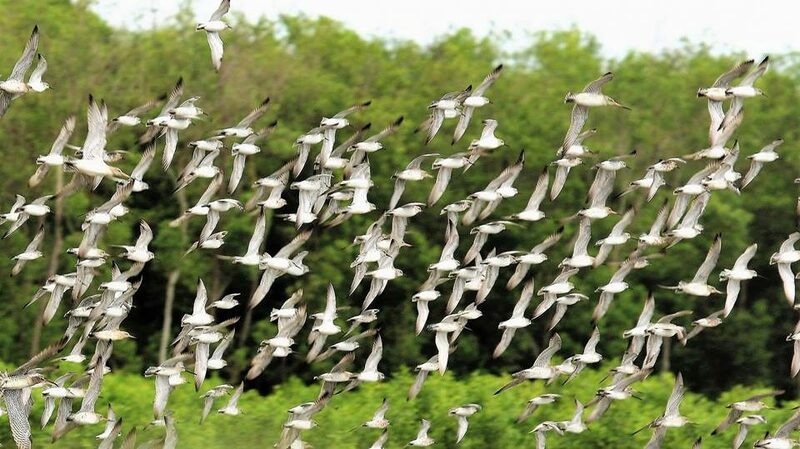 It combines visits to 25,769 sites across the globe, from two venerable citizen-science initiatives, the International Waterbird Census coordinated by Wetlands International, and the National Audubon Society’s Christmas Bird Count. The huge dataset of 2.4 million records can point to more than just the bird species surveyed. Waterbirds can indicate a lot about the condition of wetland, and wetlands themselves are among the most diverse and productive ecosystems on Earth. For example, as many as 210 million people globally benefit from fisheries associated with just one type of wetland, mangroves. 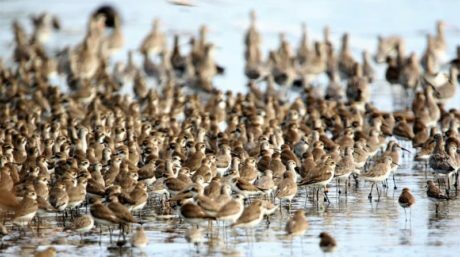 “Our study shows that waterbird monitoring allows us not only to learn about the status of waterbirds or wetland ecosystems, but also provide useful lessons about what we need to do to halt the loss of biodiversity” says Szabolcs Nagy, Coordinator of the African-Eurasian Waterbird Census at Wetlands International. The study confirms to donors that they can safeguard wildlife by establishing or supporting protected areas, when coupled with good governance. The lack of environmental legislation or its enforcement can lead to habitat degradation, such as the drastic damage caused by mismanagement of water and dam building in western and central Asia in the past 30 years. 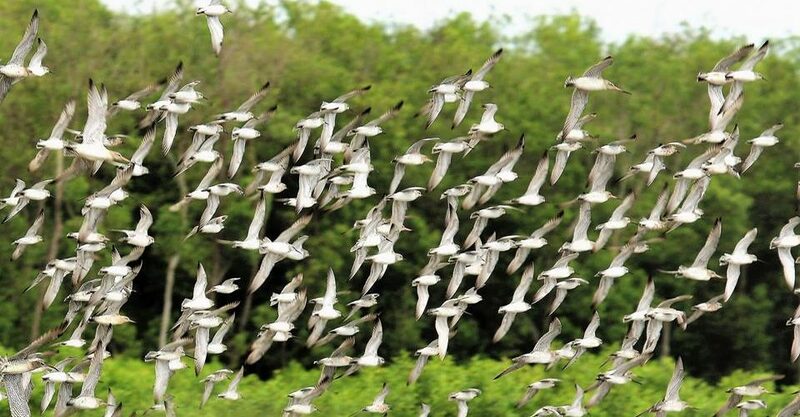 “This long-term study encapsulates our ethos of linking the local to the global” says Dr Taej Mundkur, Coordinator of the International Waterbird Census at Wetlands International. “The findings suggest that national and international agencies can increase their impact by looking at political and ecological issues in tandem, and investing in good governance for protected areas”. This study also provides useful pointers on out how governments can better meet agreed global targets linked to the Convention on Biological Diversity 2020 Aichi Targets, 2030 Sustainable Development Goals, as well effectively implementing regional flyway agreements. The International Waterbird Census would not be possible without diverse support, not least from the thousands of volunteers who go out counting waterbirds and sharing their records. Institutional support includes: Ministry of the Environment of Japan, Environment Canada, AEWA Secretariat, EU LIFE+ NGO Operational Grant, MAVA Foundation, Swiss Federal Office for Environment and Nature, French Ministry of Environment and Sustainable Development, UK Department of Food and Rural Affairs, Norwegian Nature Directorate, the Netherlands Ministry of Economics, Agriculture and Innovation, and Wetlands International members. The Article in Nature: Successful conservation of global waterbird populations depends on effective governance. Wetlands International is an independent, not-for-profit network organisation active in five continents. Its mission is to safeguard and restore wetlands for people and nature. 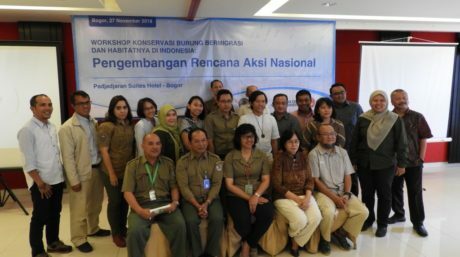 Wetlands International brings together knowledge, policy and practice. It connects the local with the global and enables society to act.